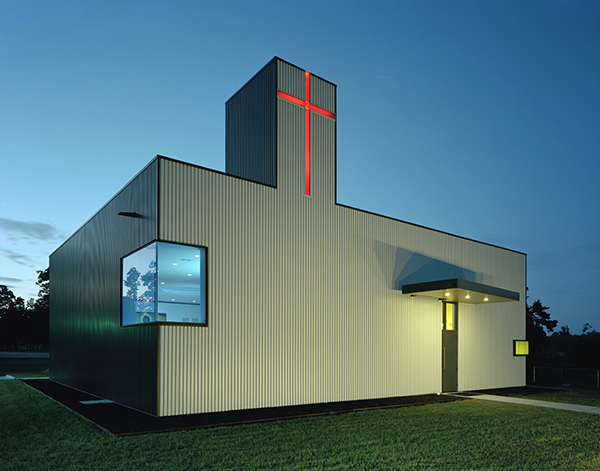 Saint Nicholas Orthodox Church is the result of a transformation of an existing metal shop building into a sanctuary and fellowship hall in anticipation of a larger adjacent sanctuary on the same site. 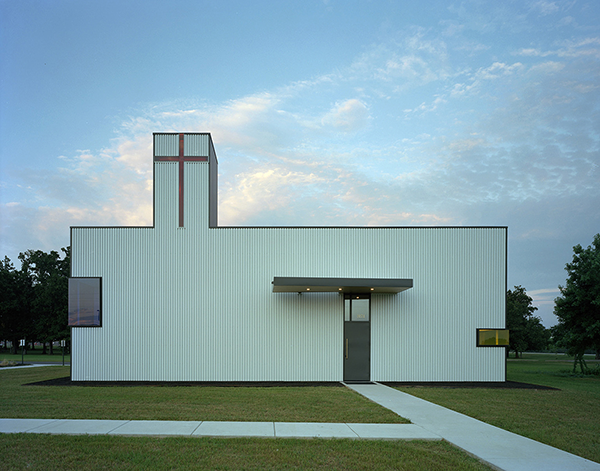 The simple original structure is enveloped by a new skin, obscuring and refining the original gabled form. 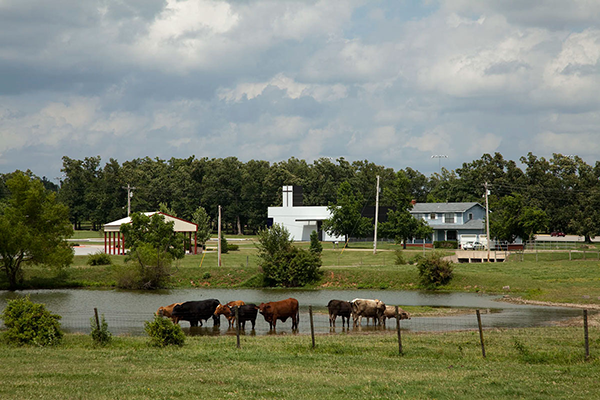 Although a small structure, its bold figure makes it visible and recognizable from the interstate which passes nearby. For the interior, the vertical surfaces are considered neutral with limited articulation, but the horizontal surfaces are expressive, revealing priorities and hierarchies. In the fellowship hall, the original concrete slab and the roof structure of the metal shop building are exposed, revealing the origins of the building. As one passes through the narthex, the ceiling gradually descends above a floor of rift-cut oak, compressing the visitor before passing under the skylit tower that marks the entry to the sanctuary. The oak floor continues into the worship space, while a dome hovers above the parishioners. At the East end, the ceiling is carved away to allow for a 30 foot wide transom of translucent glass which bathes the sanctuary in soft light for Sunday morning services. The iconostasis - the screen wall between the sanctuary and the altar area - is the one vertical surface that is articulated in great detail, featuring hand-painted, gilded icons, representative of the separation of heaven and earth. 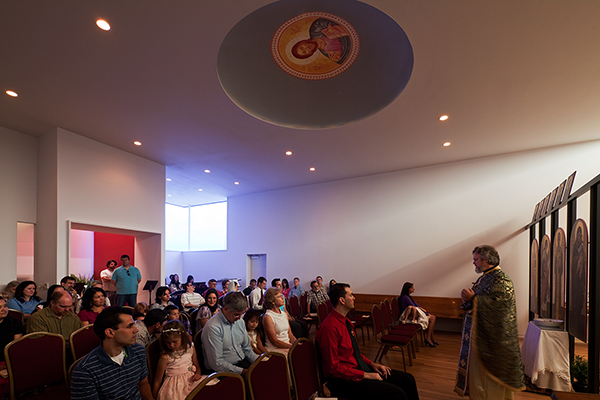 The southern wall of the sanctuary opens to accommodate additional visitors at holiday services.